What to choose for your destination wedding? This dilemma hits most of my couples, save for a small part that choose to have a religious ceremony. I have a personal preference and I want to explain to you why. 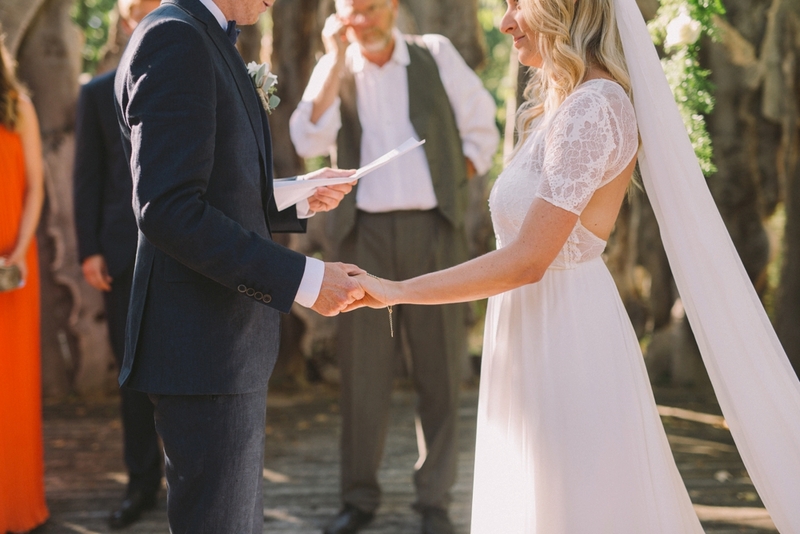 Civil Ceremonies are legally binding and are basically the signing of an official contract that regulates the relationship between the spouses, their children, their position with the State, their rights and obligations. It doesn’t have any kind of spiritual or religious undertone. 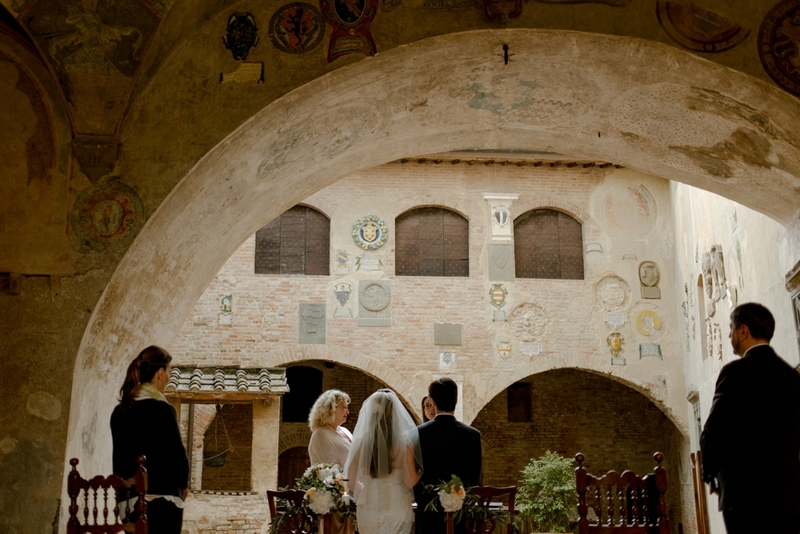 You can only have the ceremony in a place that has the status of “Casa Comunale”, the only places where the town registrar is allowed to bring the registers. 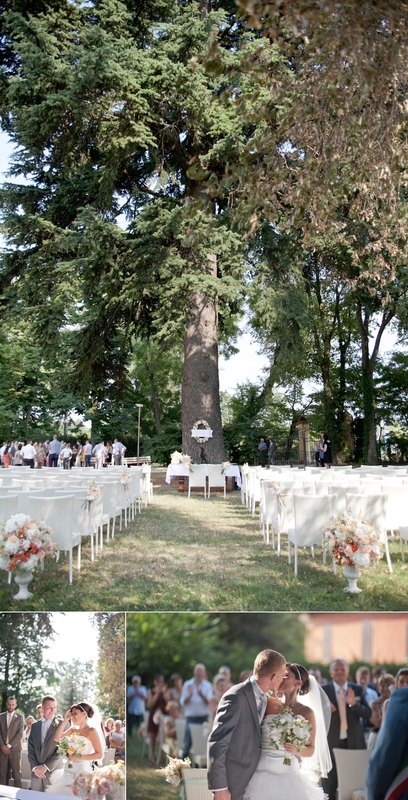 The most common places are town halls, called “Sala comunale”, and a handful of villas that have acquired these permissions and sometimes let you have the ceremony in their gardens. 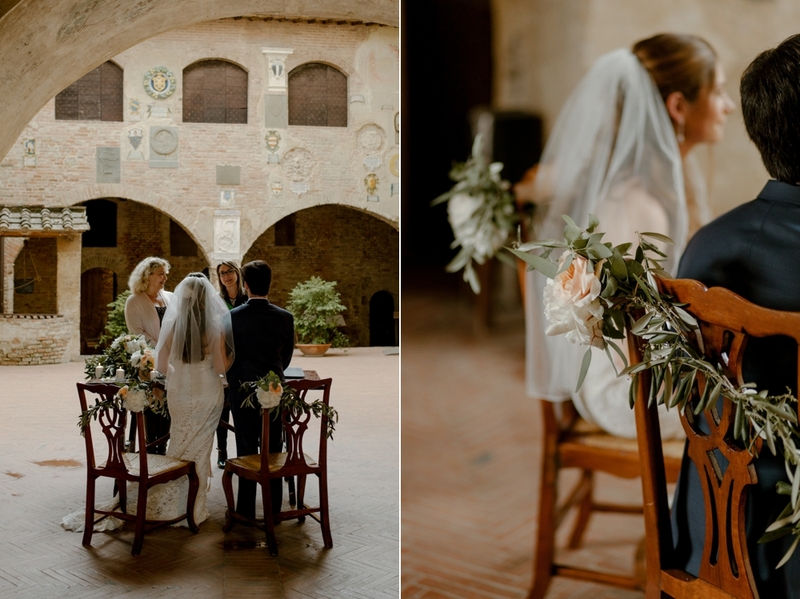 The typical Italian town hall is an old building full of offices, and the main room where weddings are held might feel like a meeting room, more than a romantic location. Some are better than others, especially in big cities where the buildings have a high historical value, but the price tag attached in these cases is often very high. The rite itself is very short, 15 minutes tops, and unless the person marrying you takes it upon themselves to add a little something to their speech, it can feel a little cold. You can usually add music and some readings, but the main core of the ceremony is the laws reading. Exciting? So so. Let’s not forget that you’ll need a translator and the paperwork you have to prepare to make everything work is sometimes a little complicated to get. It requires you to prepare your documents at home, to come a few days before the wedding to visit some local offices, and they varies depending on the country you are coming from. Symbolic Ceremonies instead are not legally binding, and for that you would have to take care of the paperwork and the official procedure at home, privately. And that in my opinion is the only con they have! ha! I spoiled the end of the post to you, the reveal of my favorite ceremony type! But really, listen: you can have total freedom with a symbolic ceremony. It can be held wherever your like, so yes, your wedding venue as well, no matter where it is. Anyone can marry you: a friend, a family member, a mentor you love and respect, or a professional officiant. 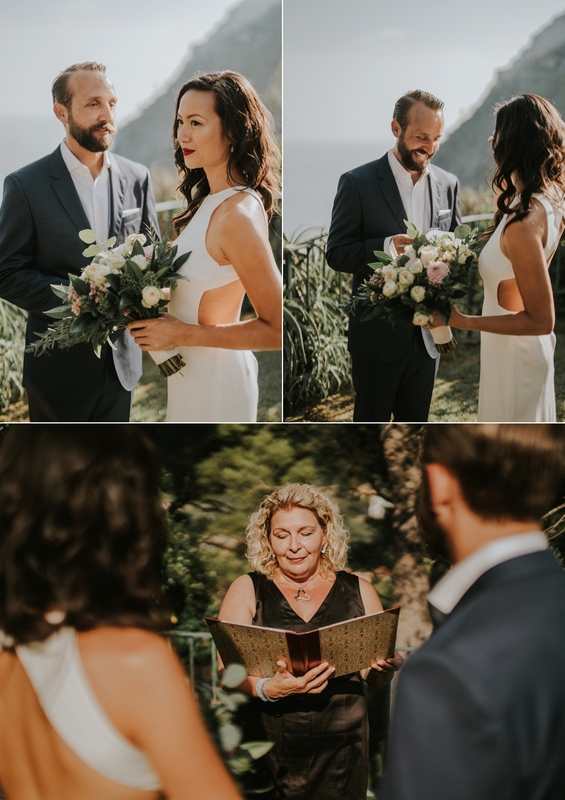 You can personalize the script the officiant will follow as much as you like, and you can incorporate a spiritual touch, if that’s important to you. 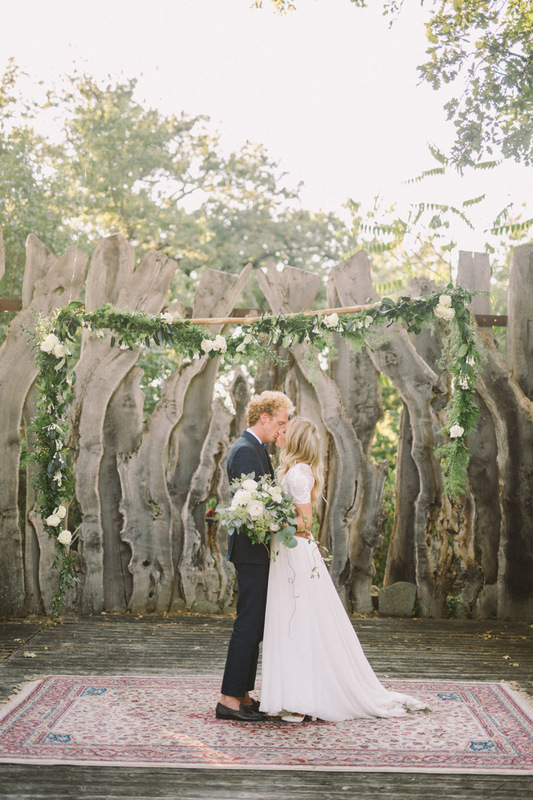 You can exchange personalized vows, reference your traditions, invent new ones. You can have friends and family intervene with speeches and readings, choose the music you like the most. You can take as much time as you want, even if you don’t want a long ceremony. You can decorate it exactly like you want it, choosing everything from your chairs to the backdrop to the small decor accents to sprinkle here and there. Really, the sky is the limit here. Have a look! 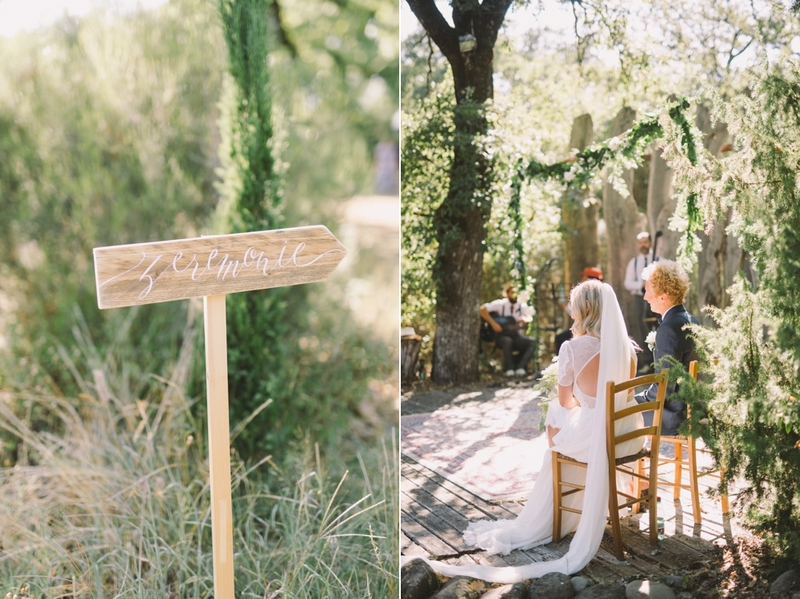 Vi and Jeff’s breathtaking elopement symbolic ceremony in Cinque Terre, with Happy Wedding Films and Tuscan Pledges. 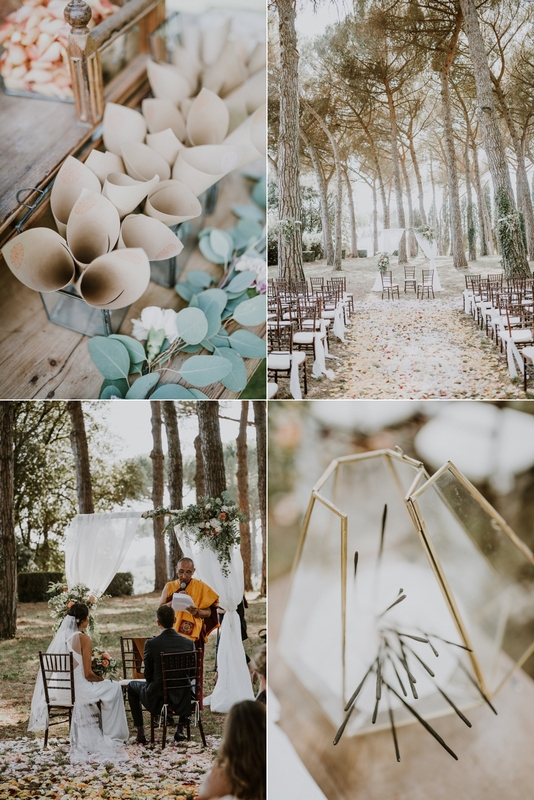 I must admit that emotionally and aesthetically, the symbolic ceremonies I had the pleasure of planning were the most wonderful and moving, because in the end they were more personal. I must admit that civil ceremonies are often harder to beautify! I hope this was a little helpful and that you have a clearer idea of what each ceremony type entails. Let me know if you have any questions!